Sana Vita means "Healthy Life" in Latin. To embark on your best year ever, you need the resolve to make a permanent life change; you require an illuminating path and a detailed strategy on what precisely is required to achieve your optimum aim. This involves more than a mere few weeks to reach your destination. Think about what you want to do and not only what you should do. Change is frightening: It often entails an emotional impact on our lives for which we are not entirely prepared. However, if you secure the desire to change, you have taken the crucial first step toward a fundamental change in your life. Avoid the pitfalls of comparing yourself to others: Regardless of what you do, or how much effort you place into reaching your goal, your preeminent aim is to determine a vision for your life, what is required on a fulfilling journey and realize your design. Uncover what your individual needs are and satisfy them, not someone else’s. Pilates, Yoga, Bodhi and Yamuna Body Rolling, needs to be focused and regular. Going through the motions isn’t enough. A habit of “focused practice” isn’t established until we can get our spirit, our soul, our heart into what we are doing. Doing the action or practice consistently may create the habit in time, but it’s more important for us to really get our heart into it. Creating new habits is about becoming the habit. It is not about installing a habit, it is about embodying one. Good working habits are not something external, they are a medium through which we express and master ourselves. It requires moving from the familiar to the unfamiliar. As soon as we slow ourselves down and give ourselves completely to the development of ourselves, that is when we see dramatic changes and improvement in posture. The path to quality, pain-free movement begins by transforming the ethos around how you move. It begins with a simple understanding: If I am in pain, the way I have been moving is not good for me. If I want to reduce or eliminate pain, I must change the way I move. This adjustment begins by disassociating yourself from fallacious beliefs pain is caused by age. On the contrary, it is not. Pain is caused by body motion and body movement. When you make the necessary amendments to your alignment, you will realize a pain-free lifestyle. At Sana Vita Studio, you can help you reach your goal; however, we do not promise an immediate change. The evolution for a pain-free life requires a dedication to learning various techniques and time-tested sessions; however, Sana Vita’s staff is dedicated to facilitate your growth to reach your physical and emotional goals. Upon entry into Sana Vita, you will discover this exercise studio and the professionals who manage the programs are for Real. The workplace is pristine and the equipment in our studio is maintained to the highest standard. From the professionalism of our staff, all of whom are certified, the convenient location, to amenities, our clients find our deep devotion to their physical and mental wellness. Marilyn Glielmi-D'Andrea holds a Master’s Degree in Exercise Science and Cardiac Rehabilitation. Additional certifications: Pilates, Yoga, Personal Training, Pre and Post-Natal Pilates, Thai Massage, Muscle Activation Techniques and CPR. Anatomy Trains---strategies to improve stability, coordination and resolve long-standing compensations in postural and movement patterns. As Owner of Sana Vita Studio, I am passionate about working with individuals of all ages and fitness levels to help you reach your potential. My Master’s degree in Exercise Science and my knowledge base in anatomy and biomechanics assist me in assessing clients I work with. I believe it is essential for my clients to aspire for consistent progress, not perfection. My greatest desire is Sana Vita Studio will be a haven for clientele devoted to life-long physical health. I was bit by the "Pilates bug:" This is precisely how I discovered this career. I was a dedicated client who witnessed a complete transformation of both my mind and body by Pilates. I wanted to be an instructor, then sought to open my own studio and now, together with a team of talented, passionate, like-minded instructors, Sana Vita has grown into the studio it is today. In private sessions, we will focus on the specific exercises you need to complete in order to reach your goals. I have experienced great success with my clients because I address their concerns. Work of any real depth must be one-to-one. I choose to work with people who need and want to go deeply into themselves in this lifetime. This is difficult to achieve in a group setting or by teaching the same thing to everyone. Each of us is different. My work is to honor that difference by supporting each client in his or her own particular journey, into the body with Pilates and also into one’s whole person, conscious and unconscious. It’s not about what I want for clients; it’s about what clients want for themselves. I am just your educator. My training methods are systematic and I am dedicated to clients leaving an individual session feeling a sense of accomplishment, with exuberance and willing to return for the next challenge. I’m resolute in giving clients a tailor-made training program where they will achieve results, and avoid the pitfalls of becoming discouraged. I concentrate on this aspect of private sessions. With extensive experience in both clinical and fitness settings, my expertise includes working in cardiac rehabilitation at several Chicago hospitals and personal training. I have delivered lectures on various health and fitness related topics for numerous corporations in the Chicago area. I enrolled in an apprenticeship program in 2000 to receive my Classical Pilates Method Certification and I am deeply committed to the philosophy conceived by Joseph Pilates and the power and the depth of the method he originally developed. I teach both Ashtanga and Hatha yoga and find yoga brings qualities of clarity, mindfulness and peace into our lives. I am committed to empowering women and have worked with women who suffer from eating disorders, assisting them in enhancing their body image and self-esteem, while focusing on internally motivated, empowering approaches to eating and exercise. As a teenager, Karen turned to sports and fitness as a stress reliever and method to live fully. 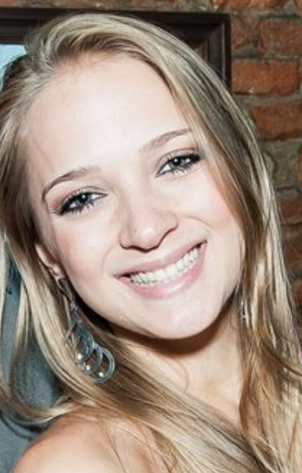 In 2012, Karen majored in Physical Education (EF) at the Methodist University of São Paulo. In 2013 she earned a postgraduate course in Specialization in Physiology and Biomechanics of the Musculoskeletal System Rehabilitation and Training at the Orthopedics and Traumatology Institute of the Medical School of the University of São Paulo. In addition, she also completed coursework and a Certification from Voll Pilates Instituite. Karen had the opportunity to work with a variety of people counseling them on important health and nutrition issues. After experiencing her first Pilates class, Karen discovered a connection between body and mind that spawned her passion for Pilates. It has now become her lifestyle! Erica first started practicing Pilates in 2001 to help strengthen her spine and core. After personally experiencing remarkable results in strength, alignment and balance, Erica was inspired to pursue a career as a Pilates instructor. 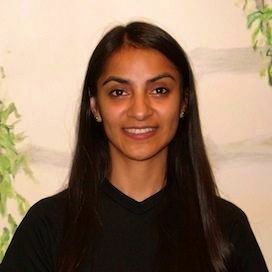 She is certified through the Body Arts and Science International (BASI) teacher-training program, which emphasizes functional fitness through the education of anatomy and kinesiology. She continues to explore additional educational venues through workshops emphasizing alignment & posture, kyphosis and osteoporosis, and biomechanics of the rotator cuff. Her strong knowledge base of the body allows her to tailor the Pilates Method to each individual’s needs and goals, while assuring every session is safe and beneficial. Her passion and ability to motivate people has transformed the beginner client into dedicated Pilates enthusiasts. She celebrates as her clients progress and achieve their goals, witnessing improved strength, injury rehabilitation and increased mind-body awareness. She looks forward to her continued growth as a Pilates instructor and sharing her fondness for the Pilates Method with others. Annette has been teaching since 2000, having received her certification from The Frog Temple in Chicago. She also received her PMA certificate in 2012 and in 2015 completed The Master's Program at The Pilates Center in Boulder, CO. 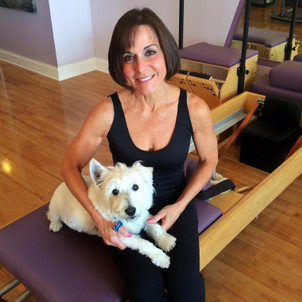 Her passion for the Classical Pilates Method has driven her to explore additional education at The Pilates Center. Learning never stops, she says. She strives to increase her knowledge of the body and it's ability to improve physical well-being. It is her mission to empower each student to live a healthy life. She strongly believes the Pilates Method is both healing and transformative. She has personally experienced it's healing properties as she recovered from various injuries, weight issues and depression. Her style is very accommodating, the result of working with people of all ages, sizes and special needs for many years. From the first session, she is committed to helping clients see results leading to a life of happiness and vitality. Angelica Palomo stands for healing, through nutrition and movement. She helps people with hip tightness, muscle pain and poor nutrition how to stretch, strengthen and eat better, so that they can feel better. For the past 8 years she has devoted herself to teaching Pilates, serving clients in Vernon Hills at Lifetime Fitness and in Chicago at Fitness Formula Clubs, Sana Vita Studio and River West Fitness Studio. While completing her Dance Degree at Columbia College Chicago, she fell in love with Pilates. She began her training with Power Pilates and has her mat and intermediate mat certifications and has completed a 600 hour comprehensive training certification, which involves all apparatus. Her teaching methods, which stem from Joseph Pilates and her own dance career, involve a movement based, systematic, integrative style. She believes that having her clients learn in a flowing style, will get their body to remember the movements, and also will get their minds to hear the corrections at the right time. Muscle Memory begins to activate with consistent practice and this awareness can rid them of compensatory weaknesses that contribute to chronic injuries. She emphasizes the importance of responsibility for your own body and is committed to helping others find that power within themselves. She has now partnered with Purium, a whole foods based nutrition company that sells superfoods, and is excited to combine nutrition and pilates in her monthly programs. Angie believes just as a scar heals on the skin, the body has the potential to heal from any illness or pain. She desires to work with you on reaching your health and fitness goals. When she is not working with you, she spends all her money traveling to other countries and recommends you do the same. 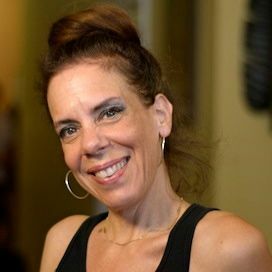 Mary Fazio, is a Licensed Massage Therapist since 1982. She is a certified Trainer and Instructor in Yamuna Body Rolling and Certified in Yamuna Body Logic. Yamuna Body Logic is a one-on-one session which creates space in your body for improved movement in daily activities and a sense of well- being. The effects of Body Logic are often longer lasting than massage. 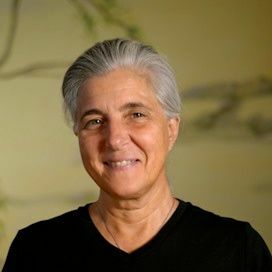 Mary Fazio developed an interest in massage while attending Southern Illinois University; after obtaining her BS in 1981, she enrolled in the Chicago School of Massage Therapy. She successfully completed coursework and began private practice Massage Therapy in 1982. In 2002, she completed her training in Yamuna Body Rolling. As her interest deepened, she became a certified Level I instructor in Yamuna Body Rolling in 2004. As a dancer, actor, artist, musician, bicyclist and teacher Teri Virgilio, is constantly striving to find harmony between strength, flexibility, knowledge and learning. Her inspiration comes from all art forms. She has been a student of yoga since the late 90's. As someone with deep compassion and an ability to connect with others, yoga is the perfect outlet for her to explore this further. Teri is passionate about the ability to use yoga as therapy and for special needs. Yoga provides the opportunity to always bring lightness and humor, as well as, equilibrium with spirituality into one's practice. She believes yoga can provide a balance to the physical and emotional stresses of our environment and is committed to inspiring others, as she has been inspired, by this practice of mind, body and spirit. She is grateful to her many teachers including Steve Nakon, Tracy Pristas, Rhonda Kantor, Rita Knorr and Dorie Silverman. Ebony Bitner is originally from Ft Wayne, Indiana and came to Chicago to pursue her BA, completed in 1998, in Dance Performance & Choreography from Columbia College. Ebony was first introduced to Pilates later that same year when a friend enrolled in a Pilates teacher training program and needed "mock volunteer clients" to complete her hours. Instantly intrigued by the art and science of Pilates, two years later Ebony enrolled in the same program. This decision propelled her into a fulfilling fitness career...and she loves teaching. Her desire and ability to foster a personal connection with her clients and those who come to take her classes, is one of her greatest joys in life! 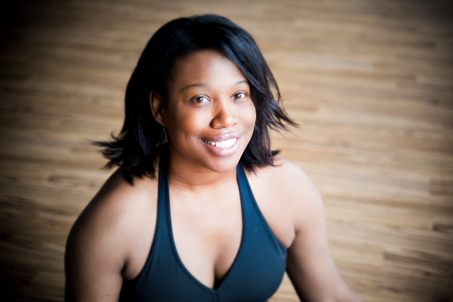 In addition to teaching Pilates and group fitness, Ebony is also a RYT-500 certified instructor. This is a 500 hour Advanced Certification Program approved by Yoga Alliance for teachers wishing to deepen their teaching, practice and understanding of yoga. She also teaches various styles of yoga and Yogalates (Pilates & Yoga fusion) classes. 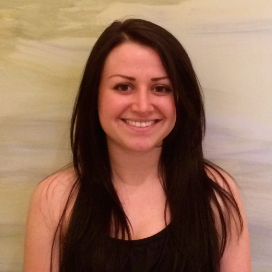 Dara is a graduated from Cortiva Institute of Massage Therapy in 2010. She is certified through the Associated Bodywork and Massage Professionals. 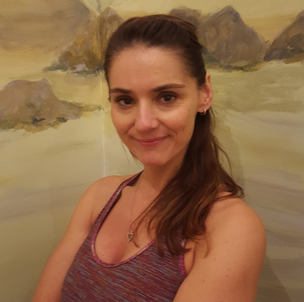 She has experience and utilizes techniques such as; Swedish, Deep Tissue, Sports, Myofascial Release, Pre Natal, Hot Stone, Reflexology, Lymphatic Drainage, Reiki, and Table Thai. She takes an Eastern and Western approach to sessions, in addressing both anatomical and energetic paths. Dara is also a Pilates Instructor, which strongly influences the self- care that she gives to clients. Those who achieve great things rarely, if ever, accomplish it alone. They enlist their support team; they surround themselves with a qualified group of people, all of whom enable them to succeed. When you look at your body and you look at your performance you may think: There are so many different things I could be doing. There are whole inventories of good deeds which you could do, but my question is: What's the best thing that you can do? When one pauses and reflects on which diet change or alterations in exercise are needed, you are required to define the most tangible benefits to any perceived change. The best investment you can make is to schedule a session with a trainer who understands how to help you, not only how to perform the exercises correctly in Sana Vita but also instruct you the exercises which can be performed in your home. We can demonstrate how to exercise because, ultimately, it's not your lack of will power, you may have needed discipline, but what is essential is a plan. Proper form is essential for success when training for anything from general fitness to sports events and/or competitions. It is the quality of training which influences your progress, even more than the quantity. Instructors at Sana Vita Studio will provide feedback for improvement, aid you in overcoming obstacles which emerge during sessions and both develop and maintain your discipline. The good news: It is never too late to make a positive change in your body! You drive, you work at a desk, you spend long hours in front of your computer, and you use your smart phone to text. These tasks, however necessary, are adversely transforming the mechanics of your body; you are further distanced from sitting upright. Movement patterns based on compensation create strain in the body. Any deviation in one area of the body will cause the mechanics of the entire body to shift, leading to imbalances in muscles, pain and dysfunction. We seek to address patterns of tension and strain. It is not sufficient to merely strengthen and stretch muscles; incorporating proper movement patterns is an essential technique for improved mobility, movement and pain reduction. Correct exercise mechanics decreases the amount of stress which is placed on the skeletal system and lessens the likelihood of an injury occurring. Sana Vita’s hands-on methods increase the possibilities of movement and create a balanced muscular system. The Anatomy Trains theory relies on the concept of synergy ("the whole is greater than the sum of the parts"), which looks at the body as a series of interrelated muscular chains, and not just a system of individual muscles. As instructors, we seek out the pattern, which contributes to the origin of pain in a distressed client; this is an important basis from which to work.